Seriously. How lucky are we to have such a great Superman? 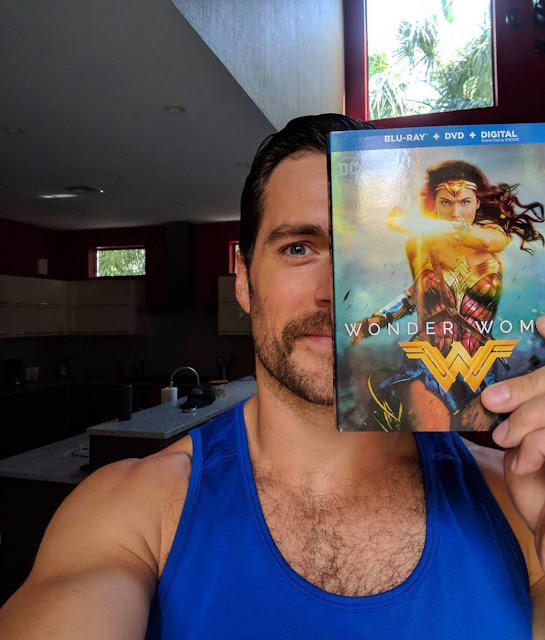 Henry once again showing his support for Gal Gadot and her record-breaking Wonder Woman film. The two will reunite for the Justice League promo tour soon, but for now it looks like Henry is still in Florida where he's been helping with the Hurricane Irma cleanup.. and maybe catching some rays and working out in his free time. Oh, man! Is this EVER funny! I LITERALLY just now finished watching it after having it delivered to me! So yes, Henry! I got mine, too! Wow! Weird world we live in! Lol!